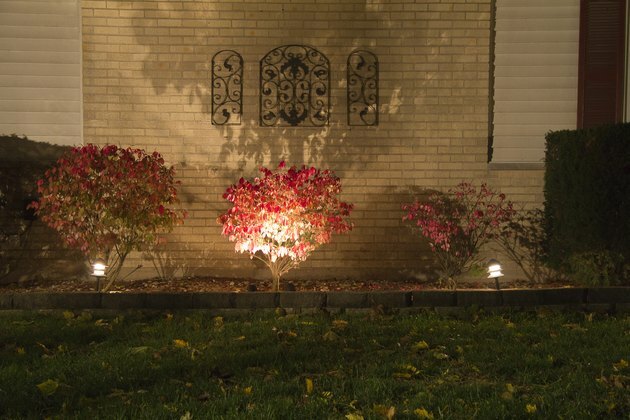 Malibu Lights are lighting kits for your yard. 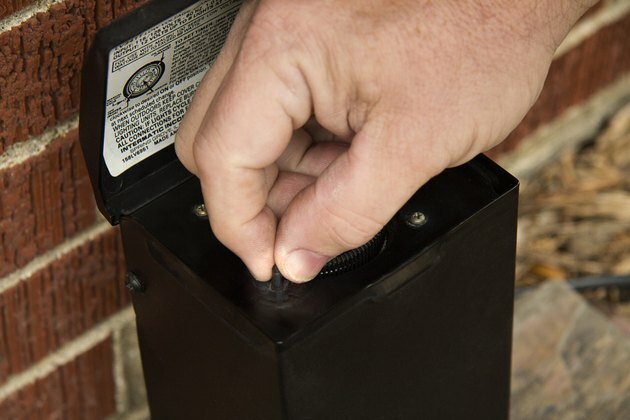 They can be automatically controlled using the integrated timer, which is located inside the transformer box. It is not quite as technologically advanced as an astronomical timer, which varies the on/off time based on the sunrise and sunset times of year. 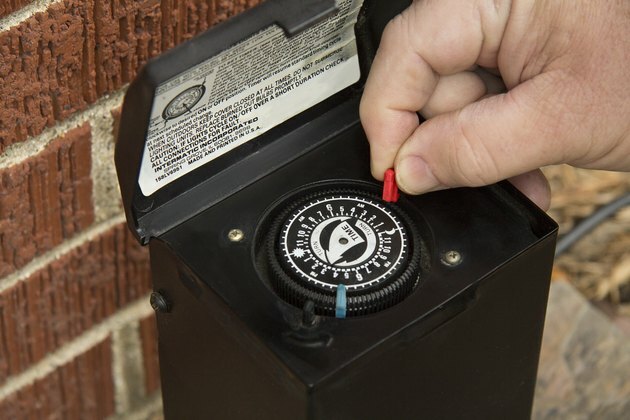 The Malibu timer is trouble-free and simple to operate, and works just like many electromechanical timers. Spin the dial so that the arrow lines up with the correct time. In parts of the country that follow daylight savings time, you will have to do this at least twice a year. Depending on how picky, or ecologically sound you are, you may want to adjust the time so that the lights adjust more frequently than that. Insert the trippers into the dial. If you examine the trippers, you'll see they have a U-shaped cut-out. This seats the tripper in the dial. The green tripper represents "On" and the red tripper is used for the "Off" time. 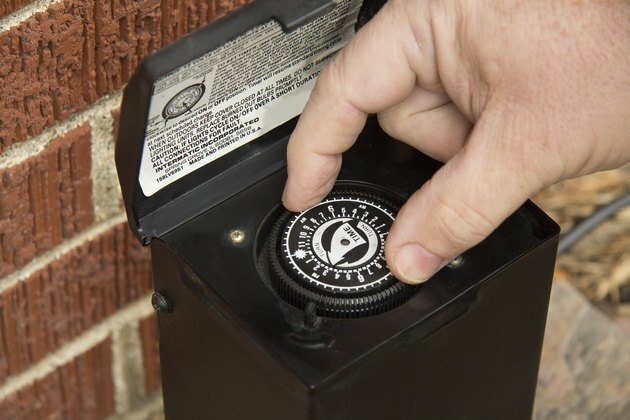 Rotate the manual override wheel until the lights are either on or off, depending on your preferences for that time of day or night.